Pure rendering fun. Found some absolutely wonderful free aircraft by Anders Lejczak(Bazze). Fantastically top quality models and textures. 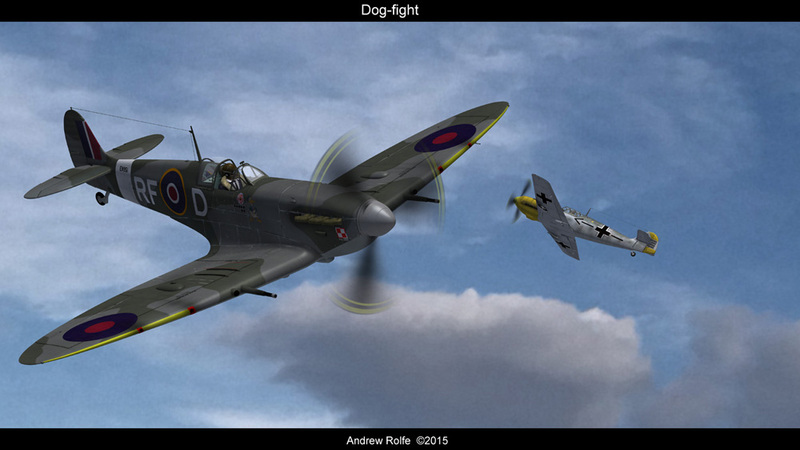 So I just HAD to render this....the Mk V Spitfire is an iconic aircraft, as well as being a pivotal factor in the Battle Of Britain. Really really enjoyed rendering this, it's a pure joy to use such high quality models as this.